Let everyone know you ride a Cruiser SUP with the Cruiser SUP Premium Tri-Blend T-Shirt. Available in black, pink, and purple, the ultra comfortable blend will make your Cruiser SUP Premium Tri-Blend T-Shirt your new favorite. All Paddleboards are double boxed to ensure they ship safely and arrive in pristine condition. All composite boards, due to their size, must ship by freight carrier. Our chosen carrier for over the last 10 years is www.yrc.com. Free Shipping* to most U.S. mainland residence, work/commercial addresses, or local YRC Freight terminal for customer pick up. *Restrictions and conditions may apply. 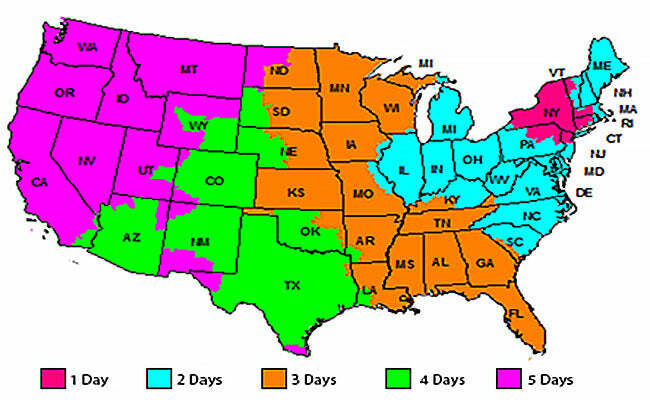 Most in-stock orders leave our warehouse within 1 to 2 business days (after paid and finalized by our staff). YRC is not able to deliver to PO Box, APO, or FPO addresses. Please note we do not ship outside of Continental North America. All paddles and other smaller accessories ship via www.fedex.com. Signature is not required. Due to their smaller size, inflatable's are easily shipped via www.fedex.com. As they have a large insured value, all inflatable's are shipped with Adult Signature Required. FedEx is not able to deliver to PO Box, APO, or FPO addresses. Please note we do not ship outside of Continental North America. Shipping to HI and AK is available via FEDEX - please contact us for shipping rates as additional does apply. We Use Them. We Know Them. E-mail Us or Call 888-291-9905. Before and After Your Purchase.